Participate in the online consultation on reimagining youth volunteering! 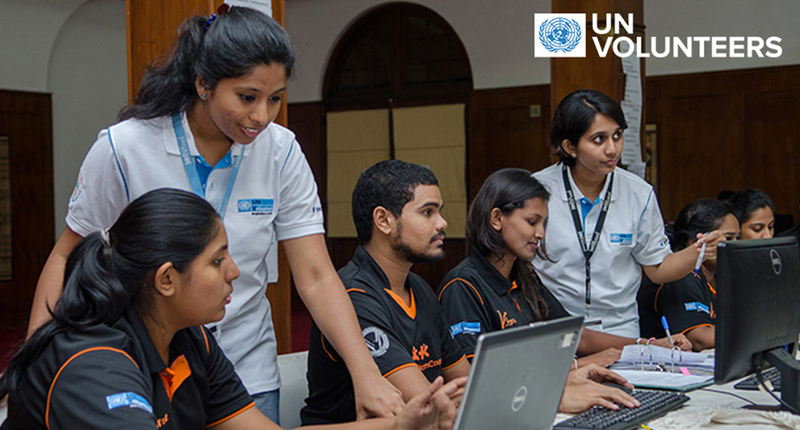 Coinciding with the ECOSOC Youth Forum 2019, UNV is launching today online consultations on Reimagining Youth Volunteering to hear from young people themselves, as well as governments and organizations that are working to empower youth. We want your ideas on how we can shape volunteering to support young people in the 21st century. National UN Youth Volunteer from Sri Lanka, Sadhani Rajapakse is passionate about volunteerism: "I believe UN Volunteers can be role models of social change and reconciliation". Through the Online Conversations on Reimagining Youth Volunteering, we want to hear your experiences and ideas on youth volunteering. This could mean policies, investments, programmes, supports and ideas that help young people from all backgrounds to benefit from volunteering, while making an impact on the challenges that the world faces in 2019 and beyond. In 2020, we will bring diverse partners and organizations together to discuss these and to engage with decision-makers on what needs to be done. Priorities: What are the areas and issues on which you would like to see youth volunteering playing a bigger role? How do you think young volunteers can make a difference and what support do you think they need? Youth engagement: How do you see voluntary groups and structures getting the voices of all young people heard within the UN and within countries? Please share examples of where you think this has worked well or not so well if you can. Decent work for young people: What investments in volunteer work by governments, corporates and others do you think could strengthen employment prospects for young people where you live? How can volunteering for skills be linked up to other areas such as economic development or welfare policies? Peaceful and inclusive societies: Where have you seen volunteering bringing young people of diverse backgrounds together to develop joint solutions to common problems? What programmes and policies were put in place to make this happen and did they work? Resilient youth: As a young person, do you volunteer? And does volunteering need to change to support your generation’s health and well-being as you grapple with the challenges of the future?